From August 1, they will be banned from burning or carrying heavy fuel oil and must instead use marine gas oil, which is cleaner but considerably more expensive. The change, which could cost large-scale tour operators several million pounds a season, has prompted some cruise lines to withdraw from the region, and visitor numbers are expected to fall to their lowest in almost a decade. “The ban will reduce the number of voyages next season available aboard larger ‘cruise-only’ ships – those carrying more than 500 passengers, with no opportunities to go ashore in Antarctica,” said Steve Wellmeier, executive director of the International Association of Antarctica Tour Operators (Iaato). He confirmed that Holland America and Azamara Cruises will continue to offer cruise-only sailings, but Crystal, Princess, Regent Seven Seas and Oceania have dropped Antarctica from their brochures. The total number of visitors to Antarctica during the 2010/11 season, and travelling with IAATO member-operators, was 33,824. This includes those travelling on traditional expedition ships, yachts, larger cruise-only vessels as well visitors participating in land programs. The overall seasonal results reflect a decrease of 8.3% last year’s total of 36,875 passengers. The International Association of Antarctica Tour Operators (IAATO) in reviewing the numbers by category, traditional small and medium-size expedition ships – which carry 500 or fewer passengers and conduct landings – accounted for 18,534 passengers. There were a total of 14,373 passengers in the cruise-only category; e.g. larger vessels that carry more than 500 passengers and only travel through the area without disembarking their guests ashore in Antarctica. A much smaller air-sea category, that includes a combination of air transportation to Antarctica and small-ship cruising, tallied at 531 visitors. Land tourism accounted for an additional 386 visitors during the 2010-11seasons. With a ban on the use and carriage of heavy fuel oil (HFO) imposed by the International Maritime Organization (IMO) set to take place this August, IAATO projects an anticipated decrease in the cruise-only category from 14,373 to less than 5,000 for the 2011-12 season, that is the number of ships will decrease from 12 to just five in 2011-12. Because of this and the lingering effects of the slow economy, the overall number of visitors travelling next season is projected at 25,319, a 25% decline from the season just ended. “Antarctic tourism numbers have been trending downward since the 2007-08 season when IAATO members carried a total of 46,265 visitors to Antarctica,” noted Steve Wellmeier, Executive Director of IAATO. Regional authorities in Chile have announced plans to build a museum in Antarctica in an effort to bring more tourism and scientific attention to the area. The museum, which would be built in the country’s Arturo Prat Antarctic base, would be designed to highlight Chile’s part in exploring the frozen continent. The new museum would house some important relics from Chile’s Antarctic history, including a backpack, pickaxe, and snowshoes that were used by the founders of the 280-acre base, which was established back in 1947. Navel vessels from the country also played an important role in rescuing Sir Ernest Shackleton and the crew of the Endurance, when their ship was crushed by the pack-ice, stranding them for months in the inhospitable Antarctic climate. While Antarctica continues to be a popular tourist destination amongst the adventure travel crowd, it is far from mainstream. When I mention the fact that I want to visit the place, I’m usually met with a strange expression, usually followed with the one-word question: “why?” Now I can simply tell them that I have to visit the museum there. I’m sure they’ll completely understand. The reasons? The dramatic recession of 2008-10 has kept international vacationers home. 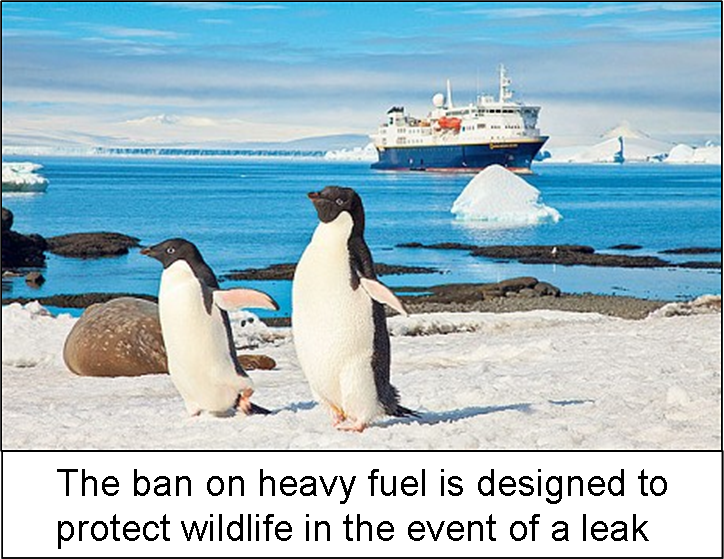 But also new rules on the type of fuel used by the larger 500+ passenger ships that was brought in as a result worries about heavy oil spills. This arose in November 2007 when the tourist ship M/V Explorer sank in the Bransfield Strait between the South Shetland Islands and the Antarctic Peninsula. All 154 people aboard were evacuated into lifeboats and eventually safely rescued. The vessel sank in deep water distant from land, and while some fuel spilled from the vessel, and may continue to do so, it has so far dispersed without significant environmental impact being detected. As a result it was decided only smaller ships that use lighter fuels are permitted and this has reduced the capacity for visitors. IAATO anticipates 26,000 Antarctic visitors in the 2011-12 season, down 20,000 from three years ago. The hole in the ozone layer is 30 years old, and over the last 30 years, rainfall in Southern Australia has increased by 35%, equal to an extra 30mm per month every month! And yes models to suggest a strong link. It is a bit complicated, but do follow the link above if you want to see what they say. 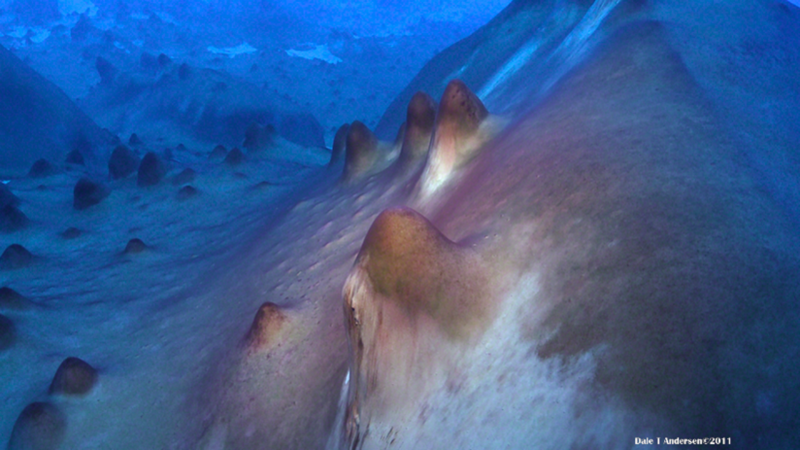 Bacteria slowly built the mounds, known as stromatolites, layer by layer on Lake Untersee’s bottom. The lumps, which look like over-sized traffic cones, resemble similar structures that first appeared billions of years ago and remain in fossil form as one of the oldest widespread records of ancient life. Despite all the precautions and the Antarctic Treaty, sign up to by 46 countries, fresh fruit and vegetables being sent to feed the 4,000 or so scientists stationed in Antarctica are laden with foreign species of insects, slugs, worms, plant seeds and fungi. The findings have shown tourists are also carrying large numbers of plant seeds to the area on their shoes and in their clothing, have prompted an urgent review of biosecurity for visitors to the Antarctic. They fear that if these foreign species are able to get a foothold on the Antarctic continent they could cause widespread damage. Dr Hughes and his colleagues, from the British Antarctic Survey, examined 11,250 fruit and vegetables sent to nine research stations in Antarctica and the surrounding islands. They found soil on 12 per cent of the food and 56 foreign invertebrates. They also found 19 species of mould, including fungi that can cause plant diseases. The mainland continent has already been colonised by ten foreign species. Climate change effects on food sources may have contributed to a halving of penguin populations in western Antarctica, a new study suggests. Researchers found that populations of Adelie and chinstrap penguins in the West Antarctic Peninsula (WAP) and Scotia Sea had fallen by 50 per cent in the last 30 years. The decline was directly related to a huge reduction in numbers of the penguins’ main prey, shrimp-like krill. Krill density had dropped by as much as 80per cent, both because of heightened competition from marine mammals and rising temperatures, said the scientists. They warned that krill fishery operations were poised to expand, further threatening the penguin populations. New studies of the East Antarctic Ice Sheet have shown that climate change is having a more considerable impact than first thought. The East Antarctic Ice Sheet (EAIS) holds enough ice to raise global sea level by about 60 metres. But because surface temperatures across East Antarctica are well below freezing point, this ice has long been thought to be relatively stable, and thus unlikely to contribute significantly to sea level rise during the next few centuries. However, new research suggests that parts of the ice sheet may respond more rapidly to global climate change than previously assumed. Ice melt reaches the sea by 2 mechanisms: from melted ice occurs along the coastal perimeter of East Antarctica and ice sheet via large outlet glaciers from the interior. Studies of ice from the last age indicate that melting of the ices sheets and their draining by outlet glaciers had a greater impact than previously thought, so increasing the overall estimates of ice loss! Just how much more is yet to be calculated. The melting of Antarctica’s ice field is contributing to the rise of global sea level. A change in precipitation patterns caused by the El Niño ocean-warming in the tropical Pacific appears to be the driving force behind the disappearance of ice in parts of Antarctica, according to a new study. Researchers from the German Research Centre for Geosciences said satellite observations show that year-by-year changes in the ice mass on the frozen continent correspond to El Niño episodes. They found that the ice thickness in some glaciers is decreasing rapidly and ice streams are retreating back into the interior. The findings from the GRACE gravity field satellite mission reveal that the significant changes unfolding in ice covering Antarctica are critical factors in global climate change. The German scientists also found that La Niña, the opposite ocean-cooling phenomenon from El Niño, favours heavier precipitation and briefly causes an increase in ice thickening.